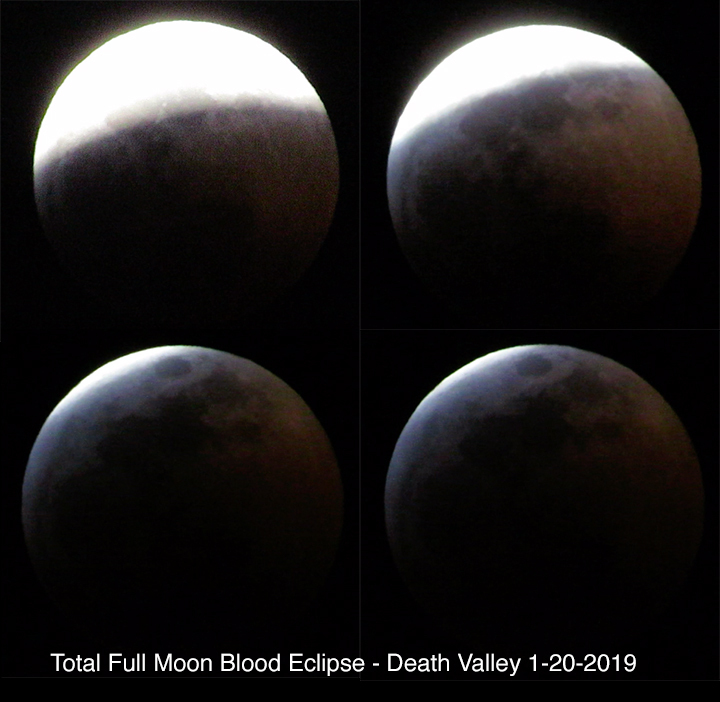 I worried about the clouds around most of Sunday, Jan 20th for the lunar eclipse but they cleared out for the evening show. I heard some folks went to the Mesquite Dunes for the show but I just stayed at the Ranch at Death Valley and sat in the outdoor table section of the Saloon back in the dark shadows. The table was perfect for my tripods. My feeble attempts to capture the event are partially represented in this image. I hope to stop by the Visitor's Center tomorrow and provide a more detailed update of closures and openings. I was out on Bad Canyon North Rim all day and did not get back in time to the VC. FYI - lots of evidence of Bighorn Sheep but no sightings. 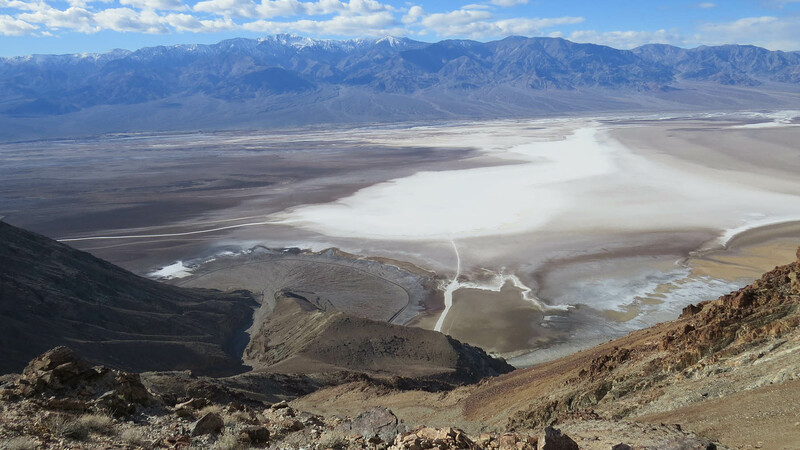 Here is a shot that was taken today from high above Badwater on the North Ridgeline of Bad Canyon. Great photos of the eclipse!